Making thing or what is now called as manufacturing is one of the oldest of human activities. This activity has evolved over the year and has built around it a complex and sophisticated paraphernalia of science, technology and management. However, sometimes we have to get back to the basics of an activity and ask what are the basic human drives or the motive behind it. This is not merely a philosophical question without any practical results. If we can find the right answers to such fundamental questions and implement them in our corporate life, it can lead to greater human fulfillment and wellbeing. This article is an attempt to understand the DNA of making thing and its implications for the future of manufacturing. Our modern mind is enamoured of technology and most of the futuristic studies tend to focus mainly on the technological advances and possibilities. But if our aim is not merely endless increase in the efficiency and productivity of the economic and social machinery but human wellbeing and fulfillment, we have to pay equal or even more attention to the human dimensions of every activity of our life. We must ask questions which help us to understand the DNA of an activity like for example: what is the original human need which gave birth to the activity? How much this need has changed during the course of human evolution? What is its role in the evolution and fulfillment of human beings? Let us now examine manufacturing the light of these deeper perspectives. Why do we want to make things? Why a child feels a great joy in building castles in the sand? There are some fundamental human motives or needs behind it. First is the urge for self-expression; second is the need for creating something with our own hands and the satisfaction of seeing our own creation, solid and concrete; third is shaping matter according to the idea and imagination in our mind. When we come down to a less fundamental level, manufacturing is the act of adding value to matter. And finally as a commercial activity, things are made in order to satisfy the customer. These are the basic elements of what we may call as the DNA of making things. If the manufacturers of the world want to achieve highest human fulfillment in their factories they must strive to satisfy all these human need which constitute the DNA of manufacturing. Technology has to be used in such a way that it leads to this human fulfillment. In the old assembly lines of Ford, technology was used to create a dehumanizing work-environment where the worker was reduced to a small, insignificant robot doing a repetitive and mechanical task. In a more living and humanized manufacturing, the worker should have the creative satisfaction of making things with his own hands and shaping the product according to his own ideas and imagination. The other basic function of manufacturing is to add value to raw matter and make it into a useful or pleasing product or in other words, added value may be utilitarian or aesthetic. In the ancient world, most of the manufacturing activity is predominantly aesthetic and the makers are craftsmen. And in our modern world, it is mostly utilitarian and the makers are technocrats and businessmen. In the future, we may witness a new synthesis of the ancient and modern ethos in manufacturing. There is at present an increasing recognition of the importance of aesthetics in product design, packaging and marketing. This recognition of aesthetics is one of the major factors behind Steve Job’s success. As the technological and utilitarian dimensions get increasingly generalized it is the aesthetic and emotional dimension which will determine the choice of the customer. However in the future aesthetics cannot be left entirely to the product designer. Makers of the future have to arrive at the right balance between cost, utility (or efficiency), aesthetics and quality with a clear understanding of the changing tastes and needs of the customer. This requires a close cooperation and coordination between production, engineering, marketing and product design departments or in otherwords between production managers, design engineers, product designers and marketing executives. And this is already happening in some of the leading automakers. And finally, the customers focus. Makers of the future have to be as much customer focused as the companies in the service industry. The new paradigm in manufacturing will be something like what Ford tried to do in its Saturn project: product is reverse engineered from customer perceptions of what she wants and what she is willing to pay for it. In this paradigm production manager and design engineer cannot say, “Customer satisfaction is not my work but the responsibility of marketing.” They must understand the customer needs and work in close cooperation with the marketing and product design people to create the product which fulfills the customer needs. This technology when it is used with an innovative human touch can be of great help in building a sense of creative satisfaction not only to the worker but also to the customer. For example some of the Toy companies in US like Lego use the Internet innovatively to provide opportunities for the customer to build their own toys according to their specifications. The other future possibilities in manufacturing outlined in The Economist report are: elimination of the unskilled or low skilled blue-collar work which will be replaced by more skilled work-force; similar replacement of the dirty and greasy factories by clean, sophisticated and remote-controlled workshop; increasing use of more and more intelligent robots. All these possibilities have to be viewed, evaluated and researched interms of their impact on human wellbeing and fulfillment with a clear understanding of the DNA of manufacturing which we have discussed earlier. Many companies repeat like a parrot, “Our people are our greatest assets” but do not take it seriously and quite often behave in an exactly opposite way when they indulge in indiscriminate layoff at the slightest of environmental pressures. But Toyota takes its human assets very seriously and develops them in a scientific, systematic and methodical manner. And Toyota still holds on to that traditional value of Japanese management, life-long employment, and never resorted to layoff or downsizing. Special Report, ‘The New Industrial Revolution,’ The Economist, April-21-27, 2012. Ricardo Semler, Maverick, Arrow Books, London, 1993, p. 25. 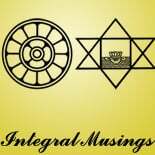 This entry was posted on July 29, 2013 by integralmusings in Integral Management.